How To: Make Cannabis Chai Tea | What's it Like? 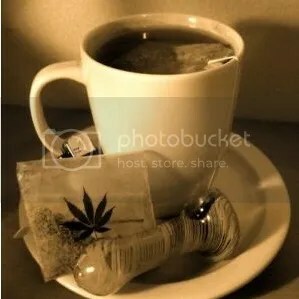 So, I stumbled upon The Weed Blog on Facebook, and found this awesome recipe and tutorial on how to make Cannabis Chai. I’m not a tea fan, but I think tea and marijuana go hand-in-hand, so I thought I’d promote this recipe a little bit for anyone interested. If you’re an avid blogger and a stoner, you’ve probably seen this before me, so just disregard this post. If you’re interested in the recipe on how to make Cannabis Chai Tea, click here! Thank you to The Weed Blog for providing an awesome recipe.